On the surface, any link between the Romans and the catering trailers roaming the roads of Britain today seems tenuous at best. Dig a little deeper though, and a connection begins to emerge. Excavations show that the ancient civilisation pioneered a bustling street food scene across the UK, with oysters among the most popular items on the menu. Lately however, British catering trailers have been more readily associated with middle of the road fast food than high end seafood. But a recent revolution has completely changed the landscape, with roving vendors now providing world class cuisine. So how, and why, have we reached this new zenith – and will it last? The advent of the modern catering trailer can be pinpointed to some time around 2007. This was the year of the global financial crisis, a fiscal catastrophe that changed people’s eating habits, forcing many traditional brick and mortar food outlets to shut up shop . But while the credit crunch may have been difficult to stomach for restaurant owners, it presented a gap in the market for smaller scale food sellers. 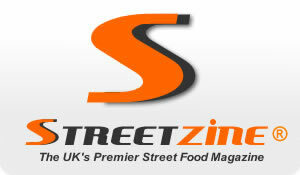 The burgeoning prevalence of live music events has also had a part to play in the recent rise of street food. In 2004, there were about 250 live music festivals and concerts in the UK. 12 years later, and the figure had risen to around 1,000: a growth of some 600 per cent. These temporary musical extravaganzas provide itinerant food vendors with the perfect stage from which to sell their wares. So that’s the how, but what about the why? Catering trailers can present a number of benefits to owners, chief among which is economy. Theoretically, you could start your own street food business for less than £5,000 . A budget of this size would get you a small second hand catering trailer in good nick. Hardly an insignificant investment, but pretty low risk in comparison to what you might shell out for a traditional restaurant. For those eyeing the top end of the street food food-chain, a £50,000 outlay would be sufficient to procure a new large van, tailor made for culinary applications. Again, not a sum to be scoffed at but quite reasonable by modern catering standards. Small and compact, catering trailers are also very affordable to run. Salary overheads, utility bills and maintenance costs all tend to be quite low. Meanwhile, the flexible existence offered by catering trailers makes them an appetising proposition for many owners. The lifestyle provides freedom from conventional office hours, while the nature of the work means there is no fixed rent; you instead pay as and when you set up stall. Myriad potential pitch locations also help to spice things up for proprietors. In addition to live music events, sporting occasions, town centres and laybys all fit the bill for street food sellers, as well as anywhere else that attracts high footfall. Furthermore, advancements in catering trailer design allow vendors to employ a range of different cooking techniques. Bain-maries, ovens and griddles are all readily available in specifications developed specifically for catering trailers. While specialist manufacturers can convert old and even vintage vehicles into modern gastronomic marvels. Obviously, none of this would mean a thing without demand; so how has the street food industry caught the imagination of the paying public? Catering trailers give customers a quick and convenient way to eat high quality comestibles. With street food there is no standing on ceremony, no waiting around to be seated and no dress code. What’s more, your order’s normally ready in just a few minutes. Variety is another key characteristic of street food that keeps consumers coming back for more. With a number of different trailers normally congregating around the same spot, such as at a pop up street food market, customers have a wide spectrum of choices. A less tangible factor, but no less significant, is the theatre involved in buying your food from a catering trailer. There is something captivating about having your meal prepared right in front of your face, it also gives inquisitive customers the chance to find out a bit more about their food. The experience is tailor made for modern foodies, who can Instagram their Indian, tweet their tagliatelle and share their falafel on Facebook. Despite the current appetite for street food however, some have dismissed it as merely flavour of the month, suggesting that its popularity will dwindle as tastes change. So what’s in store in the future? The variety of street food in the UK is one of its selling points; however, this already variegated menu is set to get even more diverse . As customers’ palates become accustomed to far flung food, the demand for ever more local cuisine is expected to grow. Authentic Italian pizza will no longer cut it, discerning clients will want to sample the real taste of dough based esculents from Napoli’s Via dei Tribunali. The catering trailer industry will also need to respond to the growing calls for sustainability This is both in terms of the food itself and, perhaps even more importantly, the equipment used to eat it. It is hard to avoid single use tableware, cutlery and sanitary products when it comes to consuming catering trailer produce. And, owing to complications with food contamination, a lot of this goes straight in the bin, rather than being recycled. These are potential obstacles in the road that the industry will need to overcome. Luckily for the catering trailer business, its transient nature means that it should be able to keep up with ever changing consumer demand for new flavours, textures and culinary combinations. Meanwhile, eco-alternatives to one use catering products are already emerging. This includes washable crockery and wooden cutlery. For their part, pop up street food markets are beginning to introduce central washing up facilities. The street food currently on offer in the UK is of such vitality and variety that even the mighty Romans might look upon it with some envy. Despite some commentators believing the industry to be running out of road, the hunger for street food shows no signs of being sated just yet. How do you apply for a possible pitch?